There’s a right way and a wrong way to do just about anything, and that saying works particularly well when it comes to cleaning windows. Vinyl replacement windows should typically be cleaned twice a year. But it’s the how, versus the when, that’s really important. It’s an old wives tale that cleaning your vinyl replacement windows with crumpled newspaper is the best way to get the job done. And you’ll definitely want to skip the paper towels and spray cleaners. Instead of removing dirt, these items tend to just move it around, scratching the glass. Instead, grab a squeegee, a sponge, and a couple of clean cloths, then fill a bucket with warm water and just a couple drops of liquid dish soap. Soak your sponge and start by wiping off the frames, then dry them. 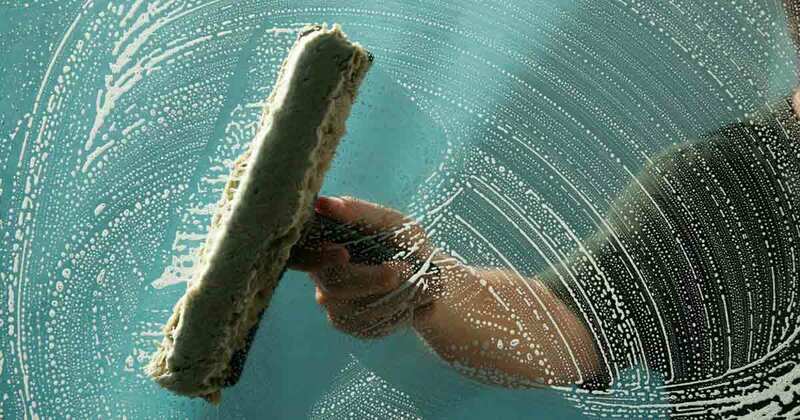 To clean the glass, start on the upper left side of the window, making s-shape passes with your sponge until you reach the bottom right corner of the window. Take your squeegee, and, starting on the left, drag it straight down, repeating until you reach the other side. Use a dry cloth to remove any excess water from the squeegee or you’ll have water lines. As a final step, use your cloth to wipe away any excess cleaning solution from the glass and vinyl replacement window frame. Quick tips: The pros replace their squeegee blades often. Make sure yours is free from nicks or other damage. Microfiber cloths can produce an even better shine. Keep a few on hand but don’t wash them with fabric softener, which can cloud the glass. Unishield® vinyl replacement windows from Universal Windows Direct are easy to clean. Find out why Unishield® shuts out the competition time and again when you schedule a no-pressure, in-home estimate. The main number to the company’s world headquarters in Oakwood Village is 216-518-8900, or 1-800-9-TILT-IN (984-5846).